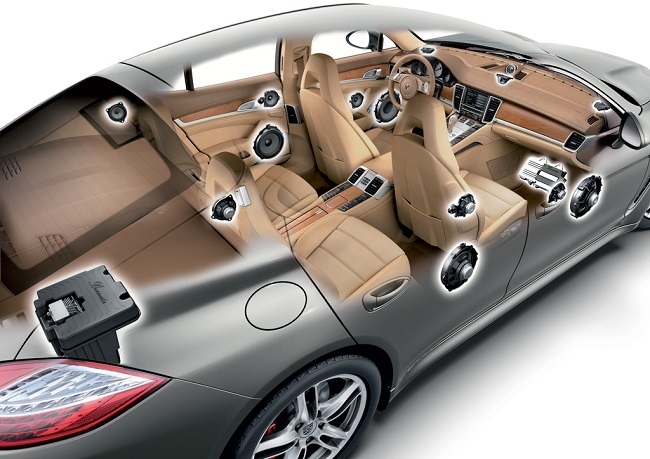 When it comes to audio systems in cars, speakers are among the most important components. In fact, a lot of people spend a lot to be able to upgrade their speakers and to provide them with a better auditory experience. Most cars come fitted with factory speakers, but they do not do a great job in terms of the sound output. With this, it is always best to look for aftermarket speakers that are made by some of the most trusted brands on the market. With proper installation, you will surely not regret having them, given the fact that nothing can enhance car audio more than high-quality speakers. OEM or factory speakers, the ones that are available by default in your car, can provide decent sound, but it is short of being impressive. With this, a lot of people choose to have them replaced. However, this does not mean that you can replace it with just any speakers. You need to make the right choice. Consider reading reviews from other people. Do your research. Take a look at the technical specifications. Find time to differentiate one from the other to increase the likelihood of making the right decision. If car audio sounds really bad, the issue can be with blown speakers. You need to have your speakers checked regularly to be assured that it is not blown. Indistinct and unclear vocals, distorted audio, and buzzing noises are just some of the indications that you have blown speakers. This could be an indication that there are parts that are broken inside the speaker. Among these parts, the most vulnerable is perhaps the cone and the supports. They can be damaged because of moisture and other external conditions. Yes, it is true that high-quality speakers can improve the car audio. However, this is not true in all situations. One of the things that should be kept in mind is that not all speakers can be compatible for your car stereo. You need to find the perfect match. The frequencies should complement each other. Power handling and sensitivity are two things that should be looked at to decide which best car speakers are for your car audio system. If you lack knowledge about this technical aspect, you can always consult with the opinions of the experts. Aside from compatibility, another important thing that should be noted is the right installation. You need to pay attention to the wiring. A few mistakes will definitely ruin the whole system and will affect sound quality. Even if you have the most expensive car speakers from high-end brands, if they are not installed properly, sound quality will suffer. If you start to hear anything that is unusual, there are chances that you do not have problem with the speakers, just with how they are wired or connected. Always follow the instructions from the manufacturer when it comes to installation of speakers. If you are unsure, it would be best to trust the experts. Their expertise will be handy in more ways than one, guaranteeing that your speakers will produce the sound quality that is exactly as envisioned. To make the sound even better, you can consider having customized car speakers. You may not necessarily be able to do it on your own, especially if you lack knowledge. There are professionals, however, who can help you. They can help you to shop around for speakers and have them configured based on the sound that you wish to hear. They can have it modified in such a way that it will be fitted for the specific genre of music that you will always be listening to. Through customization, you will have a high level of control in your audio system. To make sure that sound quality will be improved, you have to choose the right type of speaker. In this case, there are generally two options. The first one is full-range or coaxial speakers. They are the default choice for people who are on a budget. They are cheap, and hence, this is reflected even in the quality of the sound output. There is only one driver and they are all connected together. If you are looking for something that is better, you should choose component speakers. They are made from different components and they are more expensive. It can deliver superior sound quality that is surely hard to rival. If you hear terrible music from your car, there is no need to think any further. There is one thing that you should do – change your speakers. Choose component speakers that are made by a top-notch brand. For sure, you will hear better music and everything will never be the same again!